Judith will be leading tomorrows Quiet Day, it begins at 10am and will all be finished by 3pm. If you want to come along please feel free to join us, the day is free but we would welcome voluntary donations – and you’ll need to bring as packed lunch if you want one. Weeding the raised beds at Space to Grow. 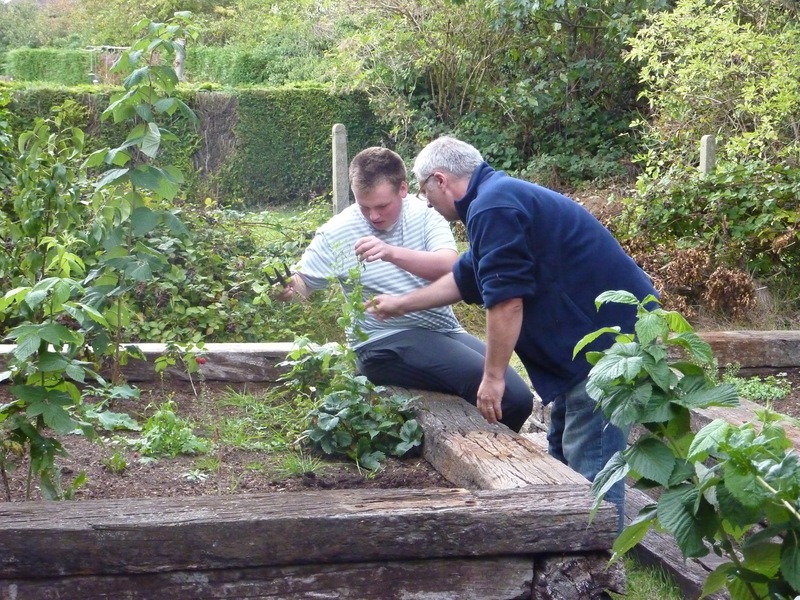 Space to Grow – Roots, is a gardening and social group for teenagers & young adults with learning disabilities, their friends, families and carers. Over the summer we’ve been meeting up once a month to do planting and weeding in the gardens – from September we’re changing the time we meet to a Monday evening from 6-7pm, the next session is on 26th September. During the winter months we’ll still be meeting up but possibly spending more time inside where its warm doing jobs like creating a new all mosaic for the gardens, as well as making sure there’s time for a biscuit, a drink and a chat.